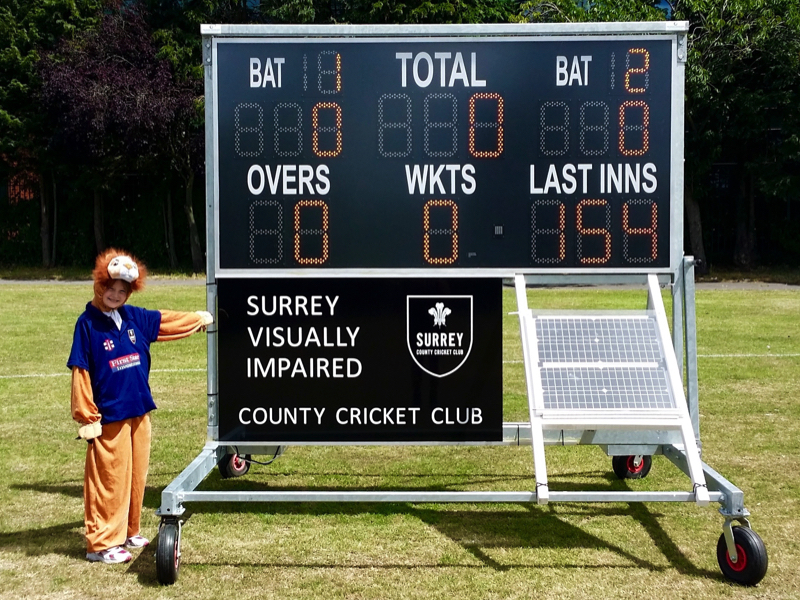 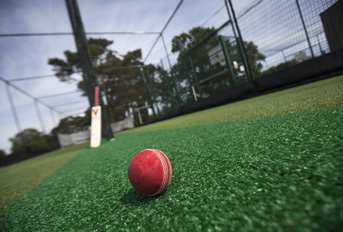 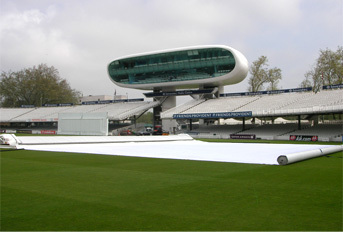 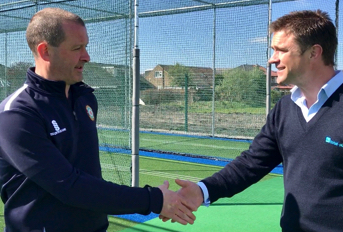 Frimley CC’s requirements were very specific, in the main due to its status as the home of the Surrey Visually Impaired County Cricket Squad which meant that it was important that information such as Total and Wickets stood out from the other detail to aid those players with partial vision. 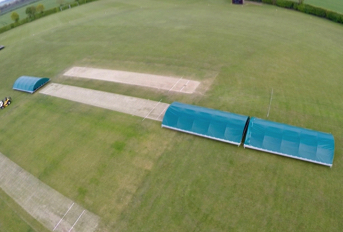 The club is also located on a recreation ground, so it was important that the scoreboard be portable so that it could be stored away when not in use to avoid vandalism, and that it be able to operate remotely rather than off mains power. 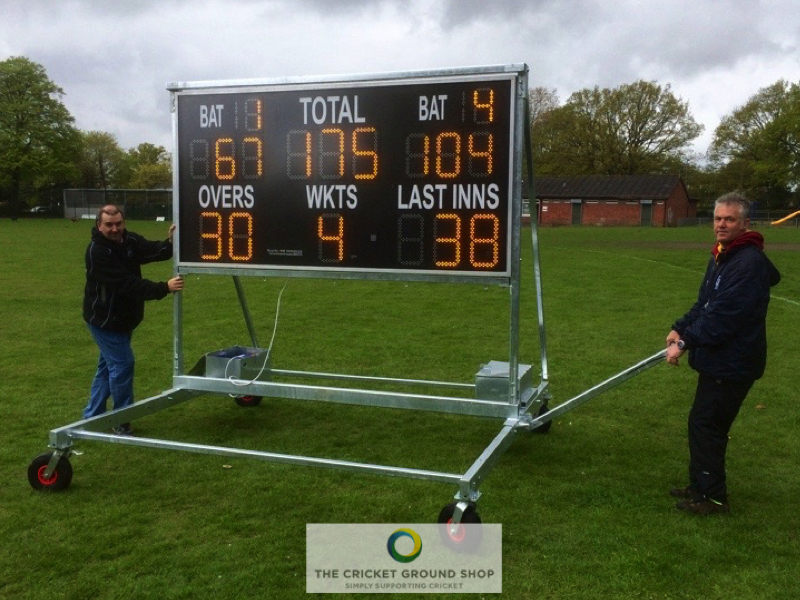 To ensure the new scoreboard met these complex requirements, a bespoke solution was the only way forward. 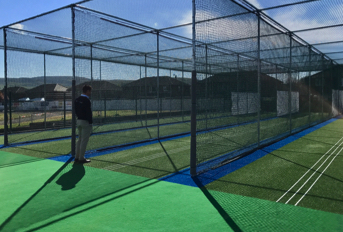 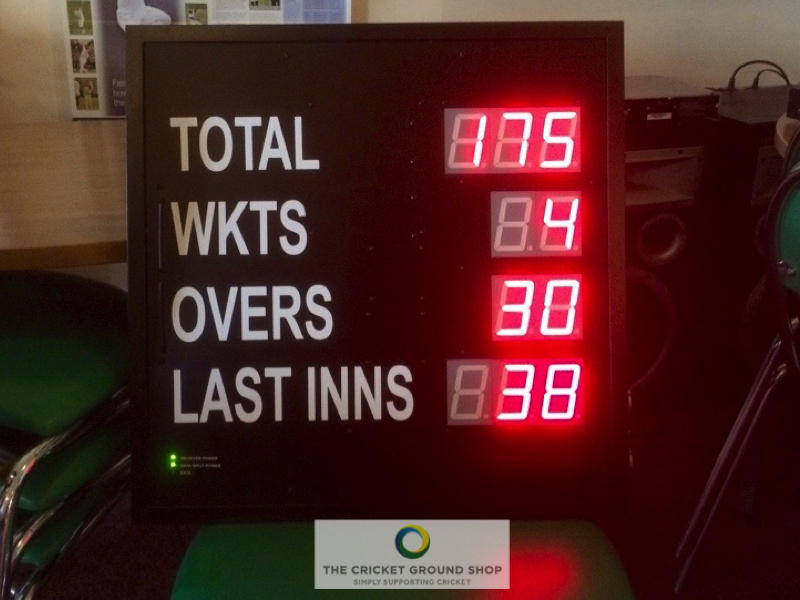 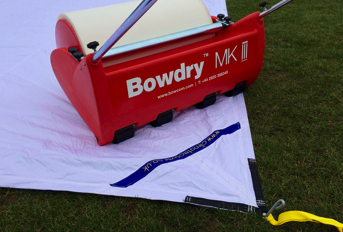 thecricketgroundshop.co.uk liaised closely with the club to design a scoreboard that offered a mix of digit sizes in the display, a bespoke trolley to fit in the storage pound and the ability to operate from a leisure battery. 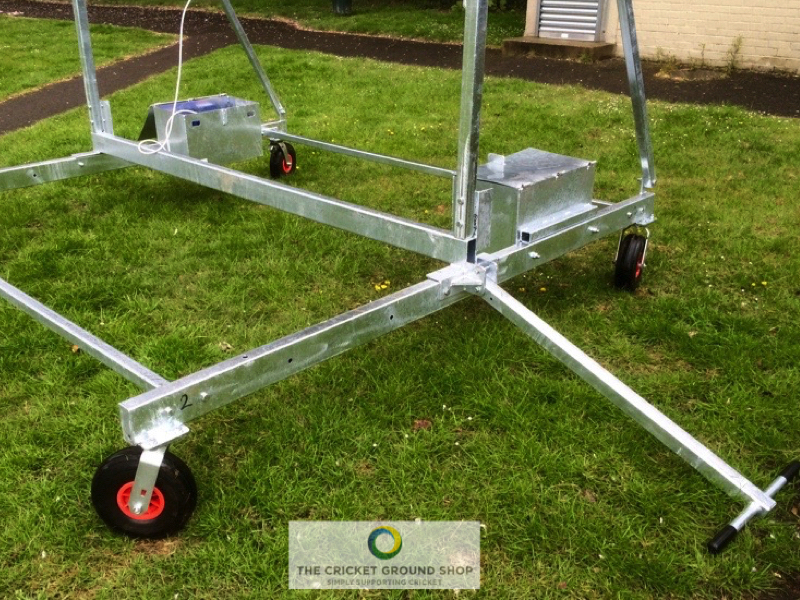 In addition to carrying sufficient charge to power the scoreboard for around 4 games from a single charge, the battery was fitted with a 60w solar panel; allowing it to recharge not just during games but whilst sitting in storage.